Fun is the first thing to consider when you're bringing people together. 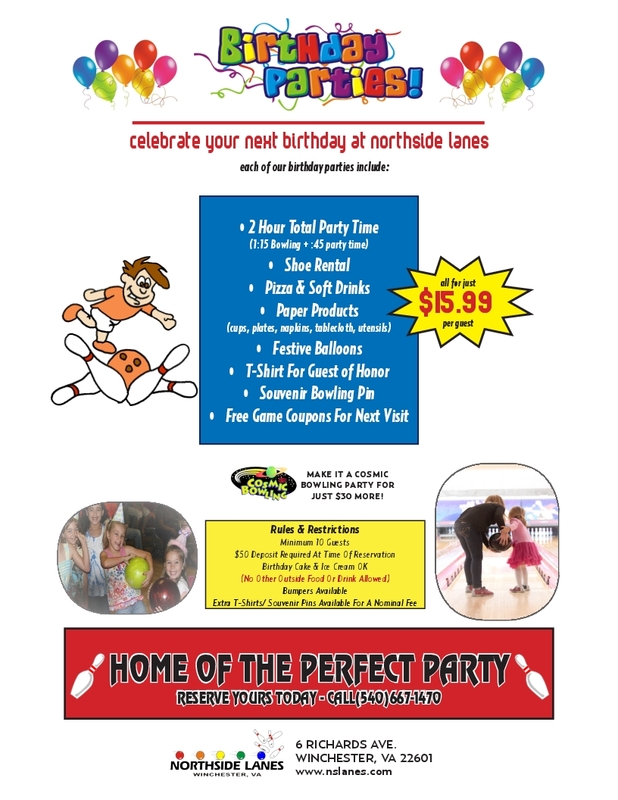 At Northside Lanes, everyone will enjoy what we have to offer, whether it's for business or to celebrate with friends and family. We have the right space and the food and drink options to make your event an extremely successful one. Meetings: Tired of the same old meetings? Then add big fun to any event and re-energize your whole team! Hold your next event here and turn coworkers into teammates! Alumni Groups: We can host a wide variety of events for your alumni group. Give us a call and let's plan something special! Sports Teams: Bring the entire team down and work together on the lanes. We can put together a program that builds team work, enthusiasm, and problem solving. Have fun together and contact us about group rates for the entire team! Student Groups: Let us host your school or student activity and spice up the fun. Come in and learn teamwork and leadership skills while having fun! Graduation Parties: Graduation is a huge deal. Celebrate with us and never forget one of the most important days of your life! We offer our signature birthday party packages every Saturday and Sunday afternoon. See below for more information or give us a call at 540-667-1470. To book a party call us or click the link below to fill out our reservation form. Let us host your company party. We have several options available that we can suit to your needs. Large or small, the size of your organization does not matter. We pack the most fun per square foot into our center and make sure you leave happy! We have food and drink options that will fit your budget. Whether you need one lane or you want to rent the entire facility, we can make it happen!